I drilled 3 holes on the sides of the canoe. These holes are for bungee cords. I use the bungee cords for holding the backrest in place. 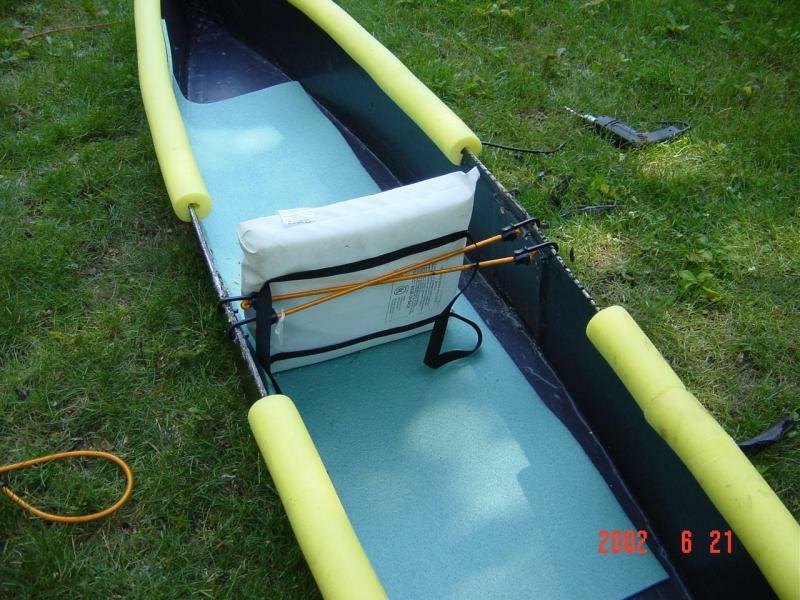 I also use the holes to tie down the canoe when transporting it to the water on top of the car.